I am sure you are all aware of the fantastic potential that Pinterest gives bloggers and website owners in terms of a traffic source. One of the real benefits it gives is you can have a modest number of followers, yet you can still get great results. Unlike traditional SEO where you often need months of work, building links, getting shares and engagement to have your post show up high enough the search engines in order for people to even see it – let alone click on it. There are obviously some elements of traditional SEO that you need to include when optimizing your image for Pinterest but you have more chance of ranking for certain keywords on this platform that you would have on Google. With Pinterest, you are able to create a pin to your site, share it in a way that attracts other shares and therefore clicks and visitors to your website in some cases very quickly. There are several key parts to the formula though in getting it right. Being in highly engaging group boards (you can read here how to evaluate your group boards). If you manage to get all those four parts of the formula correct, then you have a very good chance of getting good traffic that can last for month and months to come. The part I want to focus on in this post is the creating of images. Did you know that Pinterest recommends that you create and share different images per post? That’s right, so that great blog post that you just created cannot just have one image linking to it. 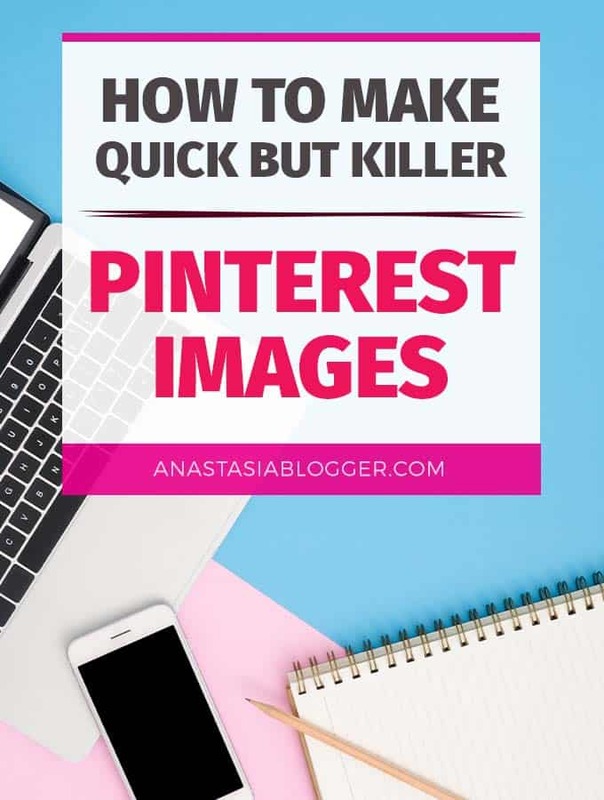 As a good rule of thumb, you should create at least five Pinterest images per blog post you write. I am not saying you have to include all five within the post, just one will do for that. But the 5 you create will be shared across Pinterest all pointing to the same URL. Pinterest encourages you to split-test. The following five images were all created for the same post. 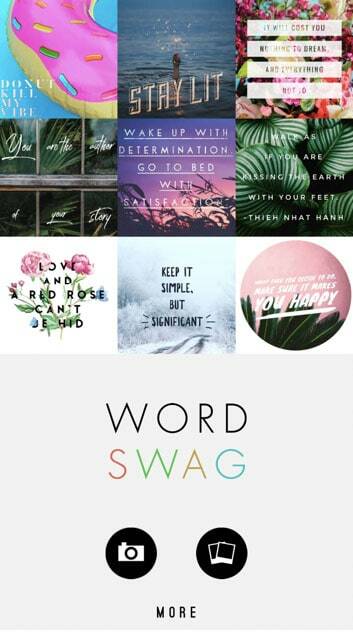 The tool I used to make all of these is a smartphone app called WordSwag. The app is available on Android and Apple phones and will set you back $4.99. A worthy investment as you will see. Don’t get me wrong, I love Canva. This is without a doubt the tool of choice among Pinterest marketers, but WordSwag offers you something different. This app offers you speed first and foremost. Once you have got to grips with the app you can be knocking out really great looking designs in a matter of minutes. Which is what makes this app perfect for busy bloggers who perhaps are not full time, who can’t spend 8 hours per day on their blogs. This app is suitable for the busy blogger who can cram a bit of work in on the commute to work, in the lunch hour, or maybe even whilst waiting at the doctors for an appointment! Later in the post, I will show you a video where you can literally watch over my shoulder as I walk you through making an image that I will use to promote this very post through my own Pinterest channels. For now though – go over a grab the app. Either download it from your respective phones stores or use their main website over at wordswag.co. The first time you load it up you will be faced with the home screen. From here you have the option of opening an image to start with or opening your camera to take a shot to begin with. I recommend selecting the picture icon and working from the thousands available in the app. You can obviously upload your own images which is great too. The app uses Pixabay as its search engine for the pictures. These are all CC0 (Creative commons license 0), this means that they are perfectly safe to use for personal and commercial use for free. You have no worries here. When you click though you will see a selection of backgrounds and patterns, but the real magic happens when you use the search feature. Type a search query in, keep it simple. Something like “winter” or “skyscraper” and then you can select any picture from the results to use as your background. Note: This is not like Canva here, you can’t add multiple images to a single piece of work, unfortunately. This is a quick alternative. You can still get very good results. Watch the video here as I make a demo pin. As you can see a very simple but effective alternative to Canva or Photoshop. The best part about this user-friendly app is you need no technical skills and the pre-set image sizes cater perfectly for Pinterest and all other social media channels. Once you get familiar with WordSwag you will be making multiple images for your blog posts in no time at all. Like I mentioned above this is the perfect app to create some images on the go or during your downtime at work for example. Use bright colors now and again to break up the text. High contrast. Add your logo or website URL as a footer on the image. Try some alternative images with not just the title – use a phrase that may help the reader and want them to click on the image. Make sure they are all optimized for mobile. A high percentage of the traffic will be from mobile phones. Bonus tip: If you have cloud storage such as Dropbox or Google drive you can save your images directly to your folders there. I even save mine to the specific blog post folder that I am working on so they are ready for when I get back to working from my laptop. So, there we have it. I hope you found this simple tutorial useful and I have given you an alternative tool that you can use in your Pinterest (and other social media) marketing efforts. I urge you to give it a try, spend a month using it for ten minutes a day and you will have a ton of great images for your pins to test. Do you use any alternatives to Canva? I’d love to know in the comments below. Author: John is a tired Dad, a passionate blogger, and side hustler. He is a content creator and co-owner of the DigitalContentPlanet. A website which provides blog posts, newsletters, short reports, ebooks plus more for bloggers and website owners via its monthly membership program. They also offer bespoke content to tailor whatever demands you may have. Did you find this post useful? Save THIS PIN below to your Pinterest Marketing board to check it later! Thanks for allowing to publish on your blog. Hopefully, your readers will gain something from this.